Teresa Lynn McWilliams obituary. Carnes Funeral Home. Nov 23, 2015 Thru Your Words & Heart & Smiles, You are Beautiful! You will Be Missed. Love to You & May You Be @ Peace With Our Lord God In Heaven! 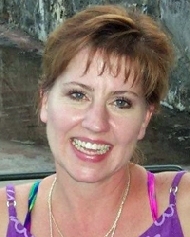 Teresa Lynn McWilliams, better known as “Tessa”, 52, of Houston, Texas, passed away October 14, 2015 in Galveston, TX. A Celebration of Life will be held at Crosspoint Church, on Tuesday, October 20, 2015 at 7:00 p.m. Crosspoint Church is located at 1134 Old Alvin Rd., Pearland, TX 77581. Tessa was born in Houston, TX to Tommy and Sandy McWilliams on April 6, 1963. She attended South Houston High School and graduated in 1981. After graduation she went on to find her true love in catering and decorating and worked for many years in catering for a local hotel, at Maggie’s gift shop in Galveston, and Pier I Imports. Her hobbies were Cajun cooking, walking the beach, and singing and playing music, especially Motown tunes. She was always thinking of and doing for others. Unbeknown to most is she was also a very gifted writer. She delighted in joking around and giving a hard time to the people she loved. In 2010 Tessa joined Celebrate Recovery at Gateway Church. Celebrate Recovery is a biblical and balanced program that helps people overcome their hurts, hang-ups, and habits. It was here that Tessa met many wonderful friends and found some peace and contentment. Tessa is preceded in death by her father, Tommy McWilliams and her beloved canine, Boudreaux. Tessa is survived by her mother Sandy McWilliams; sisters Kim Bushman and Melissa McWilliams; brothers Ty McWilliams and wife Melanie, Curt McWilliams and wife Jennie, Chris McWilliams and wife Lacey; sixteen nieces and nephews; 3 great nieces and nephews; and a host of other family and friends. In lieu of flowers, memorial donations can be made to one of the churches below to support their Celebrate Recovery Ministry. The family is grateful to the doctors and staff at the University of Texas Medical Branch in Galveston TX and to Tessa’s friend Mike for the loving and supportive care provided during her final days.